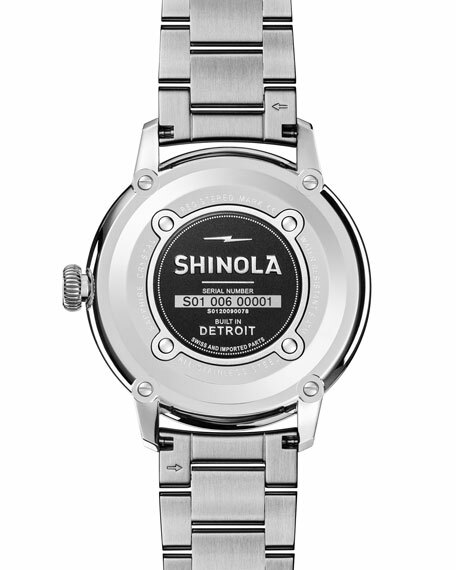 Shinola men's watch from the Bedrock Collection, featuring slim case construction. 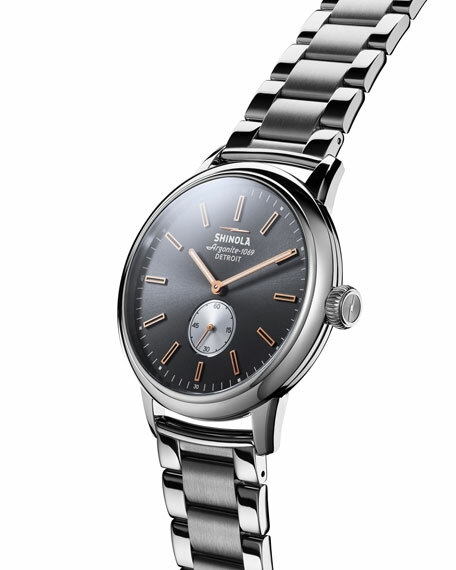 42mm polished stainless steel case with double curve sapphire crystal. 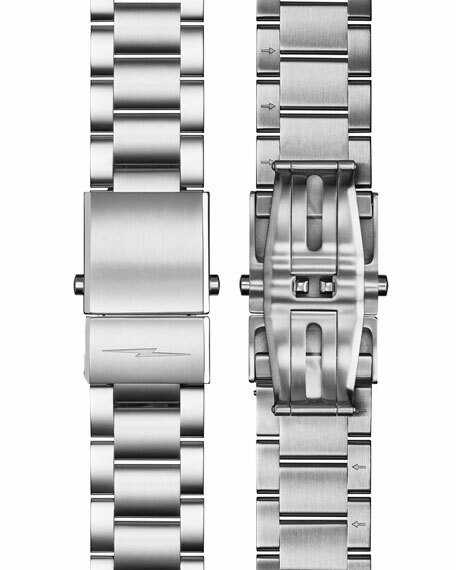 Polished and brushed stainless steel three-link bracelet. Cool gray dial set with applied index markers and Super-LumiNova® hands. 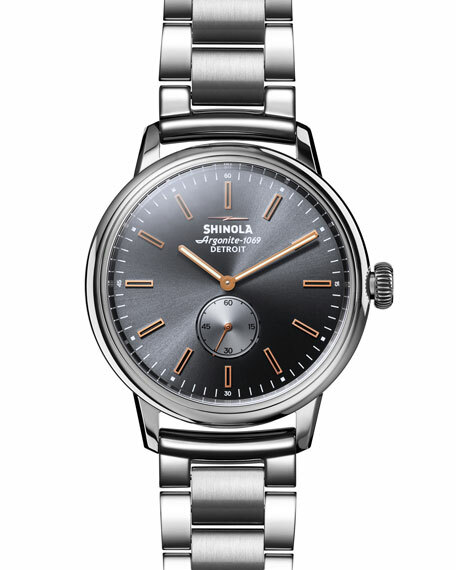 Shinola Argonite® 1069 quartz movement. For in-store inquiries, use sku #2527850.